Chittagong Vikings skipper Tamim iqbal was in phenomenal form this season at BPL. He scored 476 runs off 13 matches, 80 runs ahead of the 2nd position holder Mahmudullah. Tamim scored 6 half centuries and hit 53 fours and 13 sixes. 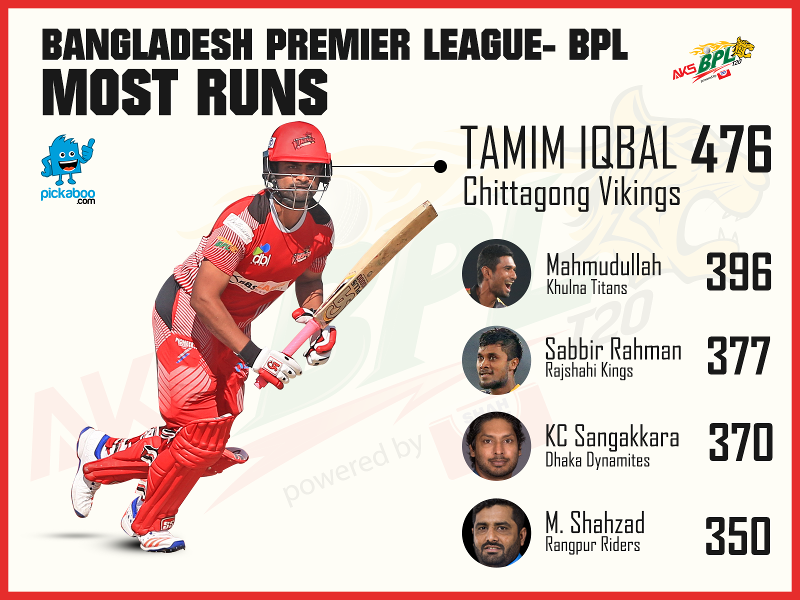 It was a great display of batting from Tamim though his team didn’t get past the Eliminator round. Top five run scorers of BPL 2016 has 5 representatives from 5 different teams. After Tamim we have the man of the tournament and another skipper, captain of Khulna Titans Mahmudullah with 396 runs. 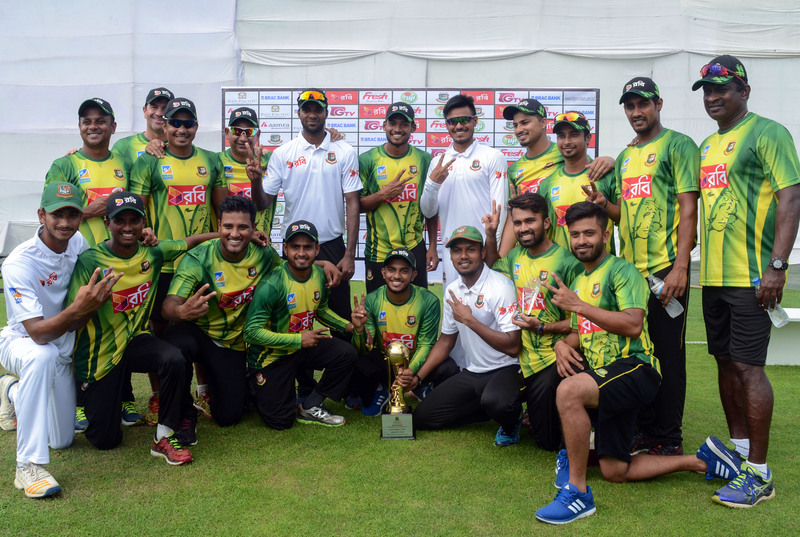 20 odds runs behind him places Sabbir Rahman from Rajshahi Kings. The last two spots are filled by two keeper-batsmen. Veteran Kumar Sangakkara from Dhaka Dynamites and Mohammad Shahzad from Rangpur Riders.